I was back in my old stomping grounds of northeast Ohio visiting my mother after dropping off my daughter at college. My Mom & I went for a walk through fields and woods that I used to spend a lot of time in as a kid. It was interesting to see how things have changed—trees grown, fields vanishing to thickets and woods, old paths disappeared. 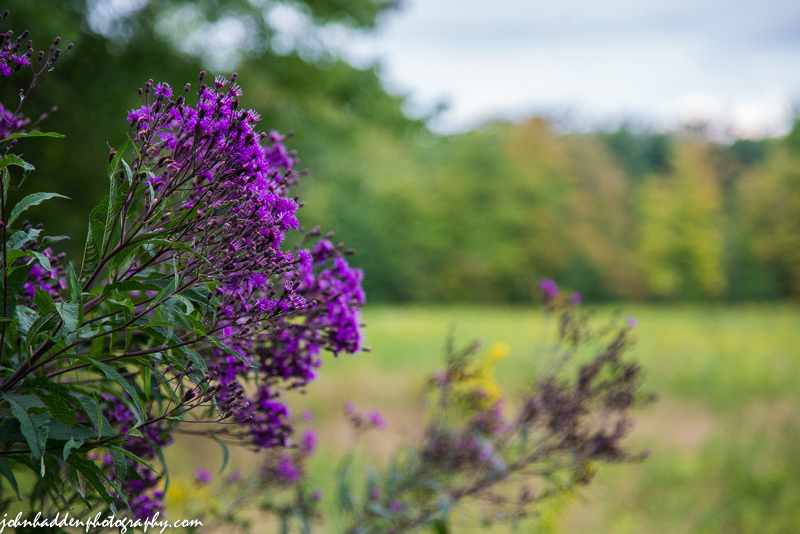 This shot of Joe Pye weed shows a bit of color coming to the maples as well. Nikon D600, Nikon 24-120mm lens @ 120mm, ISO 800, f/4, 1/800″ exposure.